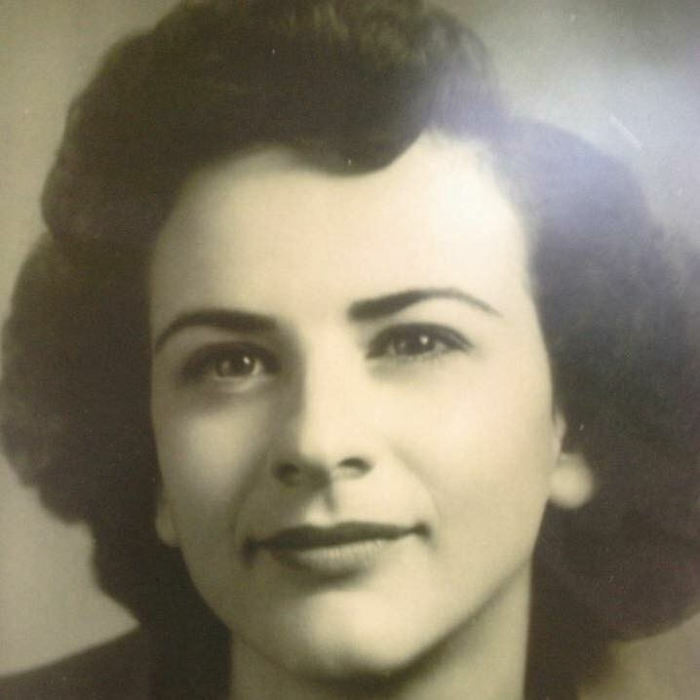 Obituary for Billie Ann Votaw | Family Care Services, Inc.
North Lima ­– Billie Ann Votaw, 89, long-time resident of North Lima, Ohio, passed away Saturday, December 22, 2018, at Hospice of the Valley in Poland, Ohio. Billie was born January 26, 1929, in Glen Cove, Texas, a daughter of the late Albert E. and Euna Mae Thurman Bradley. Billie was a member of St. Jude Roman Catholic Church, Columbiana, Ohio, and St. Patrick Catholic Church, Leetonia, Ohio. Billie was preceded in death by her husband, John Frederick Votaw, on January 1, 1994. Billie and Jack were wed August 29, 1952, and they were happily married for more than forty years. Billie is survived by three daughters and one son, as well as two sons-in-law and one daughter-in-law: Fredda Work and Paul Work, Columbiana, Ohio; Mauri O’Brodo and Michael O’Brodo, Wadsworth, Ohio; Lyndie Votaw, Arlington, Virginia; and John Votaw and Linda Nesbitt Votaw, Indianapolis, Indiana. She leaves behind a sister, Suzie Ward of San Angelo, Texas. She leaves behind eight grandchildren, six grandchildren-in-law, and eight great-grandchildren: Bradley and Christine Work and children Brooklyn, Hudson, and Easton; Brandon and Alysia Work; Jared and Lauren Work and children Charlie and Jack; Michael and Taryn Work Lazroff and children Tenley and Talia; Eric Bell; Jeremy Votaw; Bryan and Amanda Votaw and child Lucas; Daniel and Julie Votaw Dorsett. Billie was preceded in death by three sisters and two brothers: Maurine Walker, Mary DePrang, Jessie Brice, Thurman Bradley, and C.K. Bradley. Billie has worked in various fields, including bookkeeping and office work, classroom assistant, and school food service, but her favorite roles were that of Mom and Granny. She volunteered extensively with Boy Scouts, Girl Scouts, Little League, Sunday School, Parent Teacher Association, many school clubs, sports, band, and other groups as a parent and grandparent. Billie had eclectic and diverse interests and talents. She was amazingly good at everything she did. She did crossword puzzles in ink, she designed and sewed many beautiful dresses, she caned chairs with the strength of a lumberjack and the dexterity of a violinist, she was passionate about board and card games, she loved both classical and country music, and she could bake an apple pie that would bring tears to your eyes. Billie was an avid reader and a lifelong learner. She was interested in and inclusive of all cultures and religions. This led her to study Roman Catholic Catechism at age 86, and to convert from Lutheranism to Catholicism at age 87, with the love and assistance of her sponsor, Lauren Work. During a visit to the Basilica of the National Shrine of the Immaculate Conception in Washington DC, visiting and resident priests and Monsignors were delighted to meet and talk with and bless Billie, who was the most senior “new” Catholic they had met! Billie treasured the friendship and guidance of Pastor Dave Conrad, Trinity Lutheran Church, Niles, Ohio, formerly of Jerusalem Lutheran Church, Columbiana. She considered Pastor Dave to be her most trusted and valued spiritual adviser. 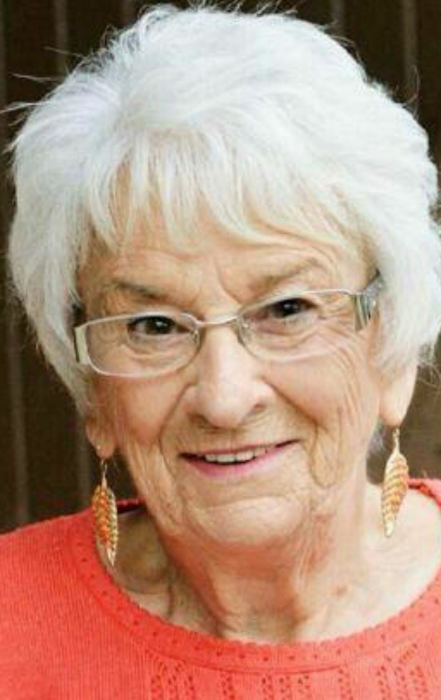 Billie will long be remembered as a selfless giver and volunteer for the community, as well as a good friend and caregiver for anyone who needed her help. A Funeral Mass will be held to honor Billie at 11:00 a.m. on Saturday, January 26, 2019, Billie’s 90th birthday, at St. Jude Roman Catholic Church, 180 7th St., Columbiana, Ohio. Father Christopher Cicero and Pastor David Conrad will officiate. Remembrances will begin at the church at 10:30 a.m. Calling Hours will be held the previous evening, Friday, January 25, 2019, from 4:00 p.m. until 7:00 p.m. at Warrick-Kummer-Rettig Funeral Home, Columbiana, Ohio. Burial will be in North Georgetown Cemetery, Salem, Ohio, where Billie will rest next to her husband, Jack. Billie’s favorite color has always been red. Billie used to say that any day could be a good day if she was wearing a bright red dress. For this reason, Billie has requested that she be buried in red. Her family is also going to wear red to the funeral, and they invite guests to join in and wear red, as well. Memorial donations in Billie’s honor may be made to: Hospice of the Valley Hospice House, 9803 Sharrott Rd., Poland, Ohio 44514.